Home » Films » Marvel vs DC Comics: What’s the Difference Between Marvel and DC? Up to this point, probably we all have known the two famous comic brands: Marvel and DC Comics. Both are giants in comic market, which take up about 42.82% (Marvel) and 31.76% (DC Comics). Of course, there are other comic brands. Yet with the great shadows of these big guys, unless you are comic enthusiasts, you probably only know these two. These comic giants did not only succeed in comic industry alone, nowadays they even have influence in movie industry with tons of Marvel and DC Comics movies each year. As the results, more and more people are getting to know about Marvel and DC Comics, including those who are not into comics. Many are Marvel fans, many others prefer DC Comics. Occasionally, we like to discuss which one is better: Marvel or DC Comics? But this time we have a far more interesting question: what’s the difference between them? Let’s find out with us in this “issue”: Marvel vs DC Comics: What’s the difference between Marvel and DC? *Note: The ideas and information shown here are not necessarily reflect our personal opinion, but rather, a round-up of many constructive opinions from various comics readers and enthusiasts. So, enjoy! For starters, let’s return to history a little bit. Marvel and DC Comics’ beginning point were pretty close, in which DC Comics first began in 1934 while Marvel started in 1939. In terms of DC Comics, initially it started under the name National Allied Publications in 1934. DC was the results of the merging between National Allied Publications and Detective Comics Inc., along with the affiliated All-American Publications. During this time, it was named as National Comics, yet people often called it DC due to the DC logo on the comic covers, and also due to the popularity of its famous series Detective Comics. The company still maintained the old name until 1977 when it officially changed its name to DC Comics. On the other hand, Marvel began as Timely Comics, created by magazine publisher Martin Goodman in 1939. Timely Comics featured various superheroes like Human Torch, Sub-Mariner, and more typically, our famous Captain America. From 1940 to 1950, things seemed not to go well for Timely Comics, and in 1951, Goodman started his own distribution company and changed Timely Comics’ name to Atlas Magazines. Then finally during early 1960s, Atlas Magazines’ name changes to the famous Marvel Comics as we know today. If you have noticed, both Marvel and DC Comics began during 1930s, just before World War II a few years. World War II definitely had an extreme impact on the world, and US in particular. Of course, many aspects were affected, including comics. 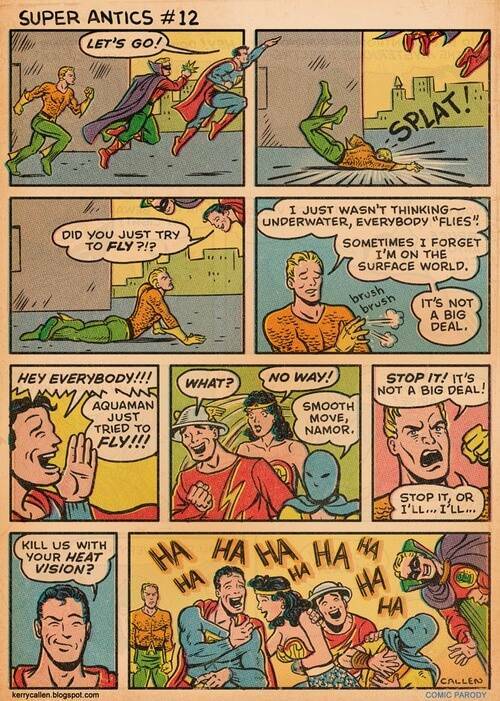 As the results, Marvel and DC Comics shared a pretty similar theme: war and humor. In such a depressing war time, people needed something to lighten their days and what can be better than a comic book? Therefore, both Marvel and DC Comics released many funny and bizarre issues. In addition, there were recurring war theme with superheroes; typically we have Captain America in Marvel, and Superman in DC Comics. Of course, after the war, both publishers gradually changed their main focuses. The most significant changes were made during 1960s. With DC Comics we have Silver and Golden Age. And with Marvel, we have our famous author Stan Lee and Jack Kirby. Okay, frankly speaking both Marvel and DC Comics are unreal. All characters within Marvel and DC are too… unrealistic and they totally don’t exist in real life. That said; Marvel characters still feel more… realistic than DC Comics. 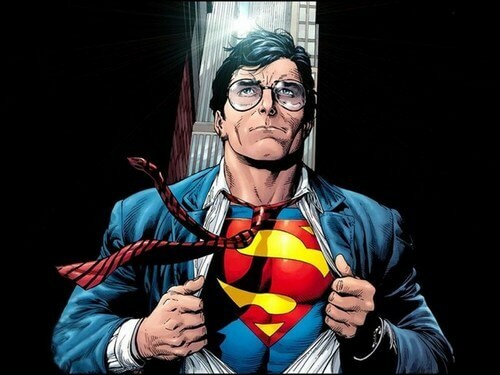 Superman: a super powerful Kryptonian right at birth. Green Lantern: a normal human being but “suddenly” gifted with a super powerful ring. The Flash: a scientist who unexpectedly gained the “speed force” which granted him extreme speed and thinking. Wonder Woman: a daughter of Zues who has the divine power of the God of War Ares. Aquaman: a man who “naturally” has the power of the ocean, and later on becomes king of Atlantis. And so there are much, much more examples for this recurrent characters design. Still, there are few exceptions, most typically we have Batman – a pure mortal, yet can stand among the rank of other superheroes. Captain America: a normal soldier enlisted in a super-soldier program, eventually became a super human. Spider-Man: How to make Spider-Man? Simple! Let a radioactive spider bites a normal college student! 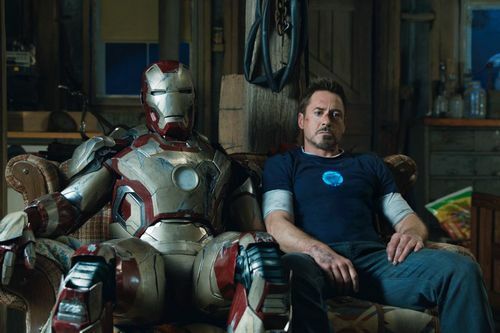 Iron Man: Needless to say, he is a genius scientist, a powerful hero with his suits. 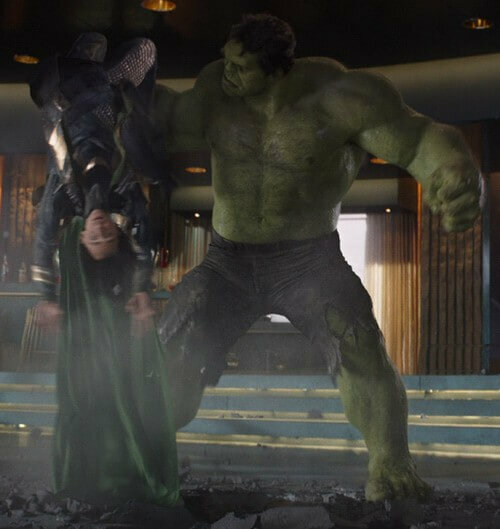 The Hulk: A scientist who was exposed to gamma rays, resulting in him becoming a green, raging giant. The entire X-Men crew: All X-Men characters are mutants (for whatever the reason) and they all are resented by normal human. Of course, there are few exceptions such as Thor, son of Asgard, yet this type of character are not as many as characters we have seen above. This is probably the core difference between Marvel and DC Comics characters. While Marvel follows the theme of mankind trying to achieve the higher power, DC Comics mostly focuses on characters representing gods and other mythical beings. And of course, we can’t miss Shazam – a mortal but received the power of Olympia. Captain America – “born” to become a soldier fighting in WW II, and later on a symbol of America and protector of the Earth. Tony Stark – a billionaire, a genius scientist who invented unique Iron Man battle suits with power rival even Thor, god of Asgard. Bruce Banner – a scientist affected by gamma rays and become The Hulk. He gradually learned to control his power and become one of the most (if not the most) powerful protectors of Earth. In the end, we can see huge difference between two character themes here. Yet, let’s not compare which one is better theme. After all, they are still fictional stories for entertainment purpose. Which theme is more interesting? Let’s leave the question to each of us to answer. Previously we discussed about idealistic and realistic aspects, yet there is one more thing we haven’t talked about which are gifts and curses. In DC Comics, powers are taken for granted without suffering risks. Some may argue that there is Barry the Flash who messed up the timeline with Flashpoint. But let’s remind that this Flashpoint happened because Barry tried to return to the past. If he had not done this, Flashpoint would never happen. So what Marvel characters? As we mentioned, many heroes among their rank had some serious trade-off. Is Spider-Man awesome? Yes, he is! But he always has to bear the “curse” of responsibility. Not to mention he has radioactive… “seeds”, which literally mean he can’t have “fun” with his girlfriend or even have kids. Is The Hulk insanely strong? Absolutely! But it isn’t what we wished in the first place. It happened to him due to radioactive exposure, which literally mutated him into a green monster with mental insanity. And again, we have X-Men, they are cool! But many of them had their powers through vicious and painful past. Furthermore, they are considered as “freak shows” among society and they are often resented. As the results, Marvel characters generally have to struggle more with their daily life and society than DC Comics characters. Some people many not notice this, but generally DC Comics takes place in more fantasy locations than Marvel. Of course, let’s put aside other fictional out-of-Earth places like Asgard or Apokolips. We mainly talk about locations on Earth. 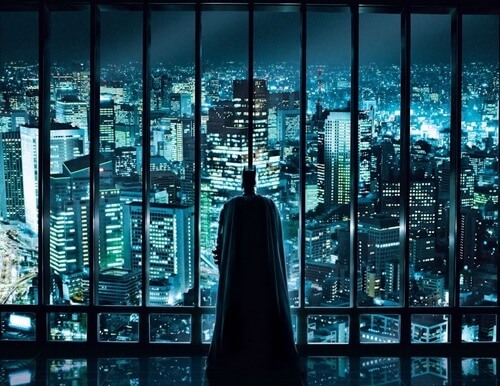 In DC Comics, we see quite a number of “fake locations” like Metropolis and Gotham. These are two popular cities in America in DC Comics Universe; however, they don’t exist in real-life America. On the other hand, Marvel straight out uses real-life cities like New York, Washington D.C. In terms of movie adaptation, Marvel and DC Comics have fairly close amount of movies and films, both cartoon and live-action. But since we live in current 21st century, let’s only consider movies and films of this era. Generally, Marvel has a… more funny tone than DC Comics. Often the time, Marvel movies and films have more funny events, especially in recent movies like The Avengers or Guardian of the Galaxy. On the other hand, DC Comics brings out more serious theme throughout the movies. 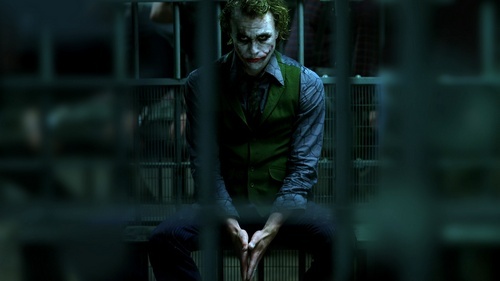 Typically we have the Dark Knight Trilogy directed by Christopher Nolan, especially The Dark Knight movie which puts Batman into an extreme mental battle with the Joker. In the recent movies like Batman vs Superman Dawn of Justice, we also see a serious topic between Batman and Superman. At the moment, it seems Marvel is more popular than DC Comics. Some people may disagree, and they are true! Both Marvel and DC are close rivals in this entertainment industry. However, in general Marvel still seems to have more total audiences than DC Comics. That said; overall popularity doesn’t always mean better quality, especially in this case. This is purely subjective opinion, yet there is a “hidden” reason for this slight difference in popularity. Basically it is relativity aspect. With Marvel, readers and viewers can easily relate themselves more to Marvel heroes. Meanwhile, DC Comics seems to be harder to relate. Why is that? Let’s recap: Marvel generally has a more realistic element than DC Comics. DC Comics focuses on godly beings like Superman, Wonder Woman, etc… All of these heroes are so… unreal in terms of power and origins. From our perspective, most of DC heroes are so out-of-this-world. They are like aliens (well… some of them ARE aliens) and therefore, somehow it felt really hard to relate ourselves to them. On the other hand, Marvel deals with normal human with relatively normal life. Marvel heroes come from normal human just like us. Though their powers are abnormal, they still have human-like troubles. Like Tony Clark, he is a genius but he has serious mental breakdown issue. 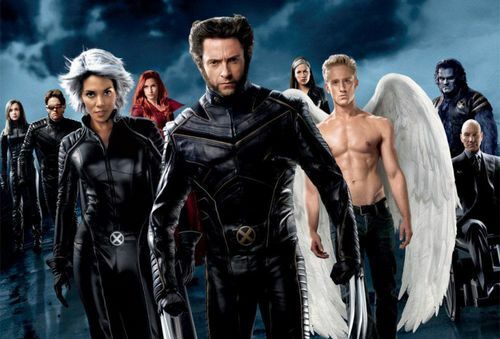 X-Men, a team of superhuman yet also viewed as “freaks” in real life (does this remind you of racism and discrimination?). 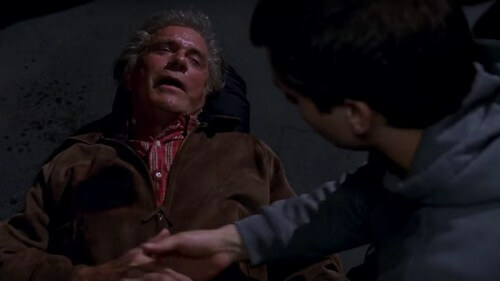 Peter Parker, or Spider-Man, is an awesome superhero but he had to learn responsibility in extremely hard way (okay let’s be real… how many times we have to see Uncle Ben dies again?). In terms of movies, relativity is not the only factor. In fact, we have to consider the other factor: audience-friendly element. This is quite important since comics and movies have quite a huge gap in terms of audience types. Generally, those who read comics are more likely to be people who actually prefer reading comics. While with movies, even people who don’t a thing about comics can watch. Movies serve a much wider audience range. So how does this relate to Marvel and DC films and movies? As mentioned above, Marvel movies have more funny elements. This means they are friendlier for vast amount of audiences, from children to adults. On the contrary, DC Comics have more serious tone and topics. Although this seriousness is what makes the movies more interesting, not many people prefer this kind of element. Especially in the current era when people often get stressed due to work, an entertaining movie is still more relaxing than a serious movie. Combining with relativity element, which Marvel seems to be more relatable and they attract more audiences. So, those are the differences between Marvel and DC Comics. Although subjectively we think Marvel is more popular than DC Comics in general, that still doesn’t mean Marvel is better or superior than DC. Again, popularity doesn’t always mean better quality, and it can’t be truer in this case. Disagree with our opinion? Please tell us what you think! Still, we love both Marvel and DC Comics nonetheless. Each of them is awesome in their own way, and we expect to see more awesomeness from Marvel and DC soon. For now, thank you and stay tune for more news in the future! Marvel Secret Empire Event – What Did Go Wrong? Dark Nights Metal – Behold the Nightmares of Batman! Pingback: Dark Nights Metal – Behold the Nightmares of Batman! Pingback: Marvel Secret Empire Event - What Did Go Wrong? Pingback: The Battle Between World’s Smartest Men: Batman vs Iron Man!